With this 15-day Ecuador & Galapagos holiday tour you will see the highlights of Quito, the Andes, Amazon and Galapagos. This itinerary is designed for travelers who like a bit of luxury and comfort, but still want to experience the local culture. Transportation in the Ecuadorian mainland will be in a comfortable car, and on the Galapagos Islands you will travel either by a pickup truck or in a bus together with other guests. 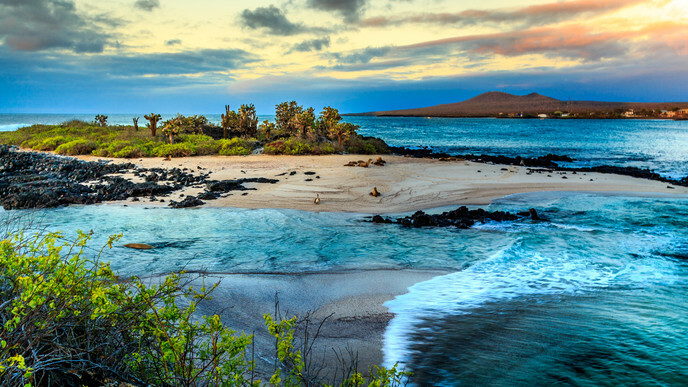 In Galapagos you will see the highlights including Isabela and Puerto Ayora. Welcome to diverse and captivating Ecuador! 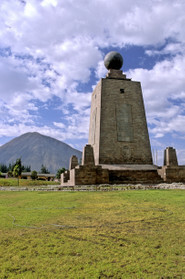 Upon your arrival at Quito Airport, you will take a transfer to your hotel in the countryside of the Andes. A traditional Ecuadorian dinner will await you. After breakfast, you will go to the Cotopaxi National Park with an English-speaking guide. Here you can choose to go horseback riding, mountainbiking, or you can just walk around and visit the interpretation center. After a local lunch, you will drive to the Termas de Papallacta, a beautiful hot spring resort set in the mountains. The outdoor pools are open until late in the evening, so there will be plenty of time to relax and enjoy! Today you will have the morning off to explore on your own: walk around at the self-guided trails or enjoy the pools. After lunch, your driver will pick you up to take you into the Amazon, where your will spend the next 2 days at a gorgeous eco-lodge. Upon your arrival in Tena, you'll head straight to the eco-lodge, where you will get a welcome drink and discuss tomorrow’s activities. After breakfast, depart by canoe downstream towards Misahualli. From there you will go further into the jungle until Rio Arajuno. There you will visit the AmaZOOnico Animal Rescue Centre. This center specializes in rescuing wild animals for conservation and reintegration into their natural habitat. Observe a variety of species such as toucans, parrots, monkeys of various kinds, ocelots, capybaras, and more. family. 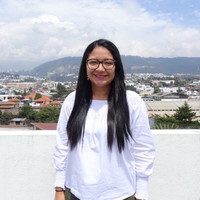 They will show their ancient traditions, tell you about the development of traditional ceramics, the preparation of chicha, and the use of a blowgun in their hunting techniques. Back in the lodge, join a chocolate workshop and taste it with delicious local fruit. Get ready for some adventure today. After breakfast you will go whitewater rafting! This activity takes you to a beautiful river with some class III rapids. Enjoy the views of the Amazon jungle and have a local lunch together with one of the communities before driving back to Quito. In the morning, you will be picked up at your hotel for your Quito city tour. First you will go to the Panecillo Hill, home to the famous Virgin Mary statue. The views over the city are amazing. Then visit all the highlights in Quito: the Basilica, the main squares and the San Francisco church. After a traditional Ecuadorian lunch, you will head to the Middle of the World Museum, which is called Intiñan. Here you can conduct experiments to prove the effects the equator has on gravity, something you can only do at this latitude! Later you will also visit the Pululahua crater before driving back to Quito. Early in the morning your guide will pick you up at your hotel to go to Otavalo. First you will make a quick stop at Lago San Pablo to enjoy the delicious local Cayambe biscuits. From there, go to the Condor Rescue Centre to enjoy a flight show of the Ecuadorian raptors. Please note that the Condor Rescue Centre is closed on Mondays and Tuesdays. If it is closed, you will make an extra stop in Cotocachi leather town. Before lunch you will visit the Otavalo Poncho Market. Have lunch at a local restaurant, and in the afternoon visit the Peguche Waterfall, an hour-long hike in nature. Travel back to Quito at the end of the day. In the morning you will be taken to Quito Airport, from where you fly to the Island of Baltra. At the airport in Baltra, you will meet your English-speaking guide, who will take you towards the port of Puerto Ayora on Santa Cruz Island. 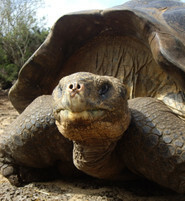 On the way, stop in the Santa Cruz highlands to visit a farm where there are giant tortoises in their natural habitat. Have a local lunch there, and proceed to your hotel in Puerto Ayora afterwards. In the morning, take the public speedboat to Isabela. After checking into your hotel, you will tour Tintoreras, Wetlands and Flamingo Lagoon. Tintoreras Islet is named after a large crevice, in which white-tip sharks (known as tintoreras) come daily to rest at the bottom. You can also observe penguins, sea lions, marine iguanas. You can go snorkeling with colorful tropical fish while enjoying the beaches of Isabela. After lunch you will take a little break and then go on a tour of the Wetlands. Here you will visit the Giant Tortoise Breeding Center, where you will spot small and giant tortoises in their natural habitat. Finally, you will visit the Wall of Tears and the Flamingo Lagoon. Early in the morning after breakfast, you’ll go on an excursion to the Sierra Negra Volcano. The Sierra Negra Volcano has the second largest volcanic crater in the world! To get to this incredible sight, you will travel to the Galapagos National Park, where the hike to the Sierra Negra Volcano begins. At the volcano, you will stop for a box lunch before returning to the hotel. After a brief rest in the hotel, you’ll have the chance to go snorkeling or swimming at Concha Perla, where you can observe colorful fish, sea urchins, starfish, sea lions, or more sea turtles. Get ready to see the amazing Los Tuneles! Leave from the dock in Isabela and navigate to the Lava Tunnels, and then to the snorkeling area. Here you will hopefully see whitetip sharks, sea stars, and colorful fish. Have a box lunch on the boat before heading back to Isabela. You can use the rest of the day to visit the pristine beaches of Isabela by yourself. Take the public speedboat back to Santa Cruz early in the morning. After breakfast in the hotel, visit first the Charles Darwin Research Station, known for its amazing turtles. These species of turtles tend to interact with each other and also with humans, which make them fun to observe! Once you have lunch at a local restaurant you will go on the Bay Tour. On the Bay Tour you will visit the highlights around Puerto Ayora by boat. The first destination will be La Loberia, where you'll find sea lions. Then, reach Punta Camaño Islet. Here you will snorkel with sea lions and a large variety of fish, and you will also travel through a channel where you can spot tintoreras sharks. Next stop is the Channel of Love, a beautiful sleepy water channel. Finally, land on Playa de los Perros, where you will see dog crabs, marine iguanas and breathtaking views! After breakfast, travel to Baltra Airport, stopping by The Twins on the way. The Twins are similar to craters, but are instances of collapsed earth caused by the lava flows that passed below it. They are a unique sight, indeed! Finally, catch your flight back to Quito. After breakfast, your guide will pick you up to drive to Mindo cloud forest. In Mindo you will visit the Quetzal chocolate factory and treat yourself to their famous brownie. Later you can choose between ziplining or a hike to the waterfalls with a tarabita car. Enjoy a local lunch before driving back to Quito. 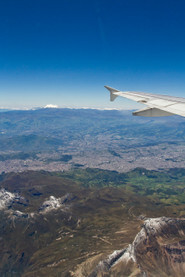 Head to Quito Airport in time for your outbound flight and say goodbye for now! Safe travels, and hope to welcome you in our beautiful country again soon!